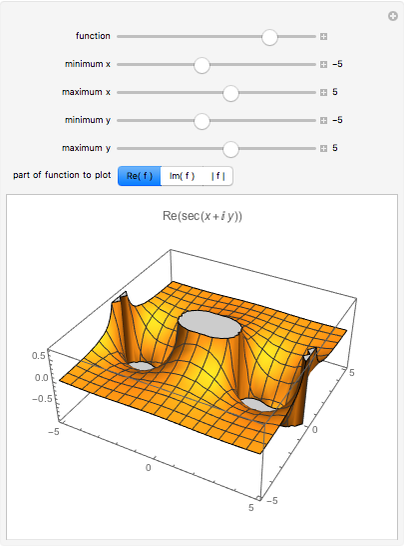 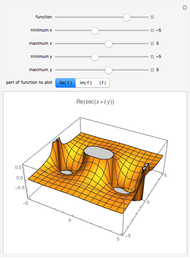 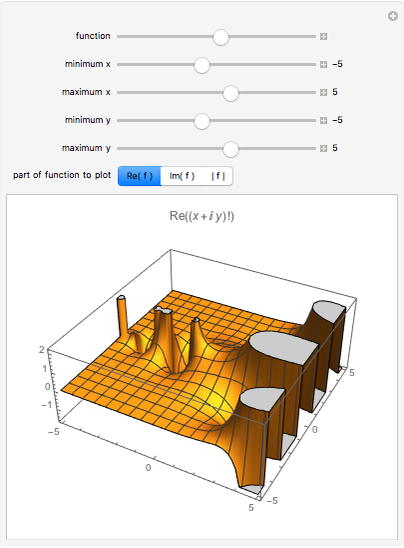 Mathematica has many built-in special functions. 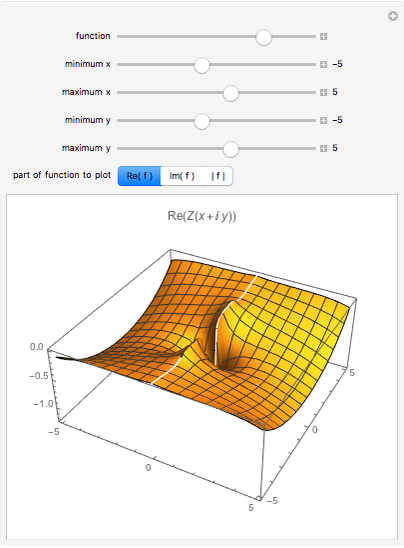 Over 50 complex-valued functions can be plotted in 3D in this Demonstration, just by moving the top slider bar. Ed Pegg Jr "Function Explorer 3D"